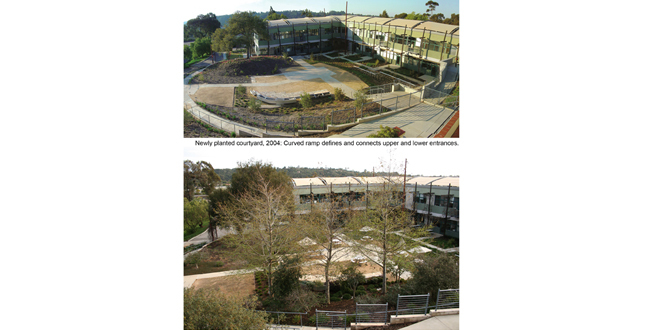 Top: Newly planted courtyard, 2004: Curved ramp defines and connects upper and lower entrances. Bottom: The furnished garden in winter, 2009. 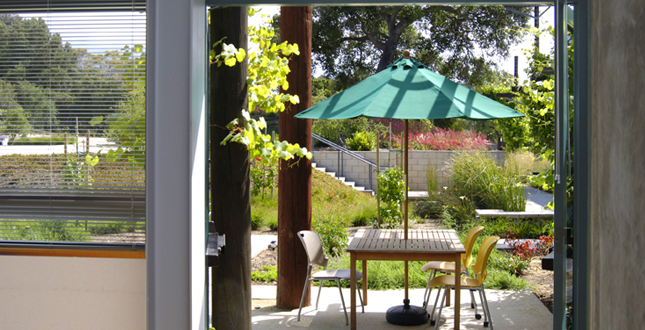 View from outdoor work stations to the courtyard and surrounding foothills. 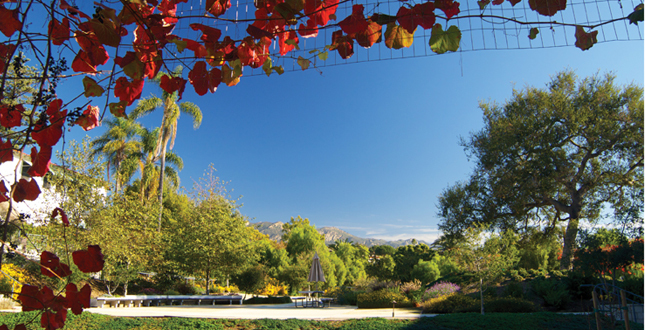 Left side of section: A 330' trellis of shade fabric and flowering wisteria shields the south and west from seasonal heat gain. Center of section: Shading increases the effectiveness of cross-ventilation. 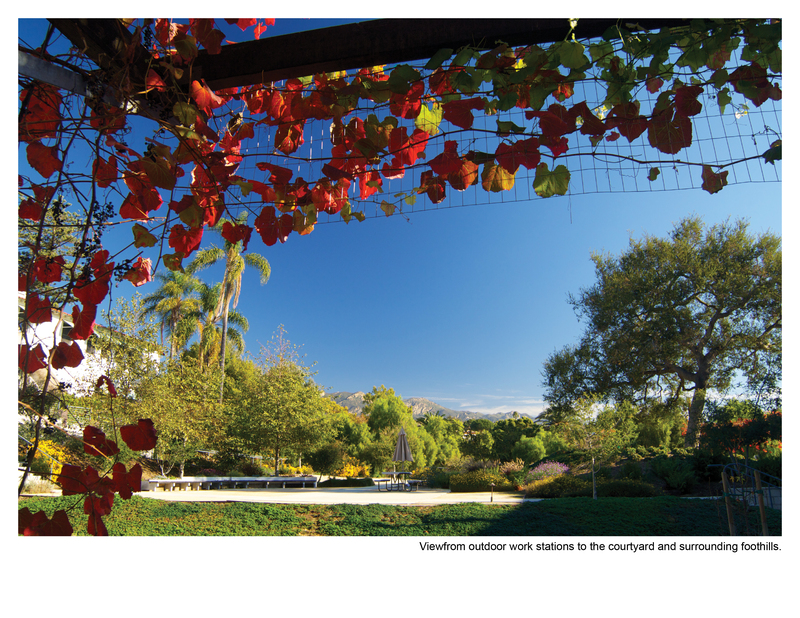 Right side of section: Grape covered arbors provide summer shade and allow winter light. 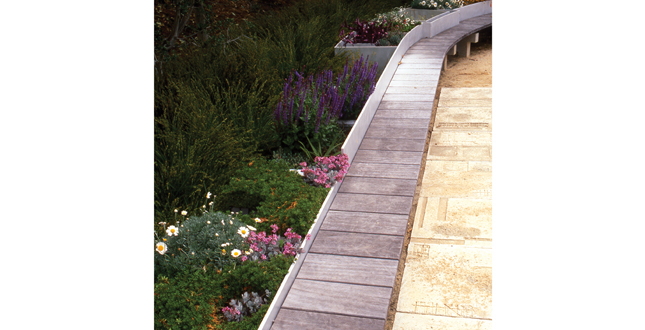 View of the Southwest elevation showing trellises planted with wisteria, fabric panels and native slope plantings including coffeberry and island snapdragon. 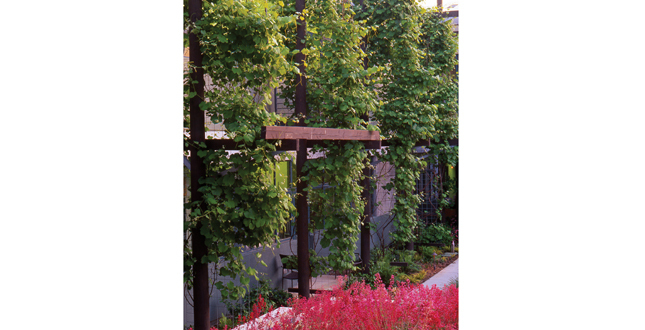 Grape trellises provide shade in spring and summer, color during the fall, and in winter allows more daylight into the building. 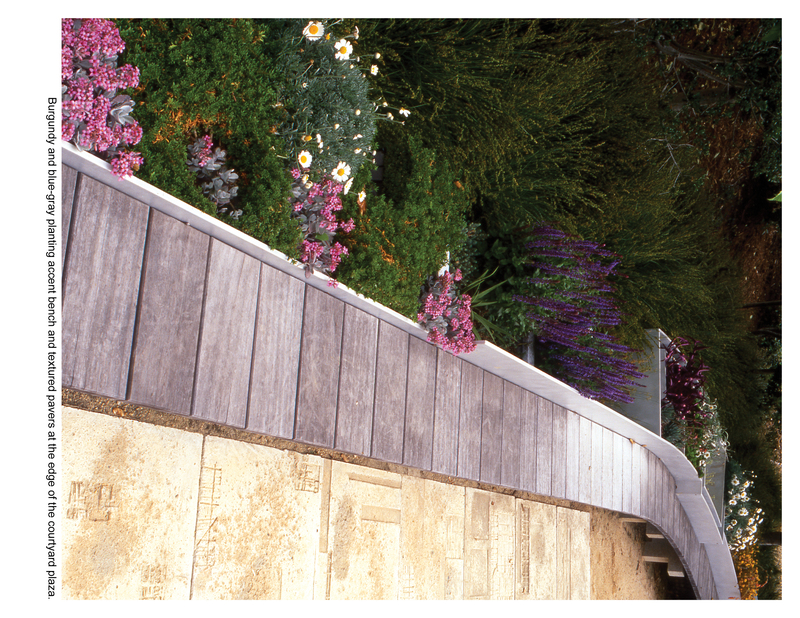 Retaining wall with hanging gardens. 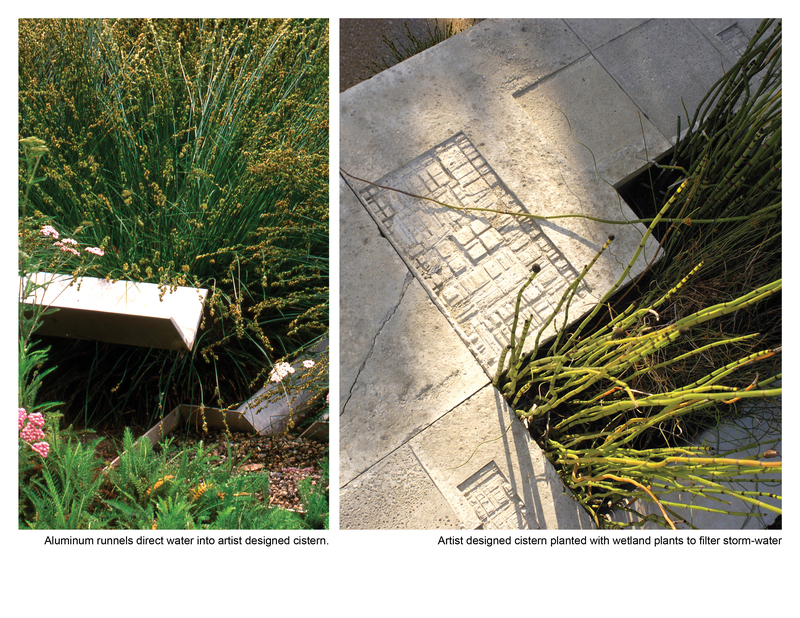 Left: Aluminum runnels direct water into artist designed cistern. 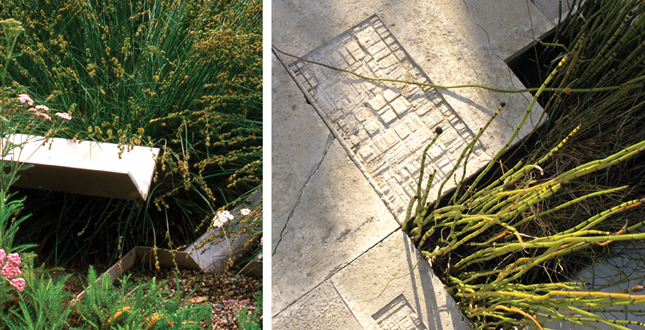 Right: Artist designed cistern planted with wetland plants to filter storm-water. 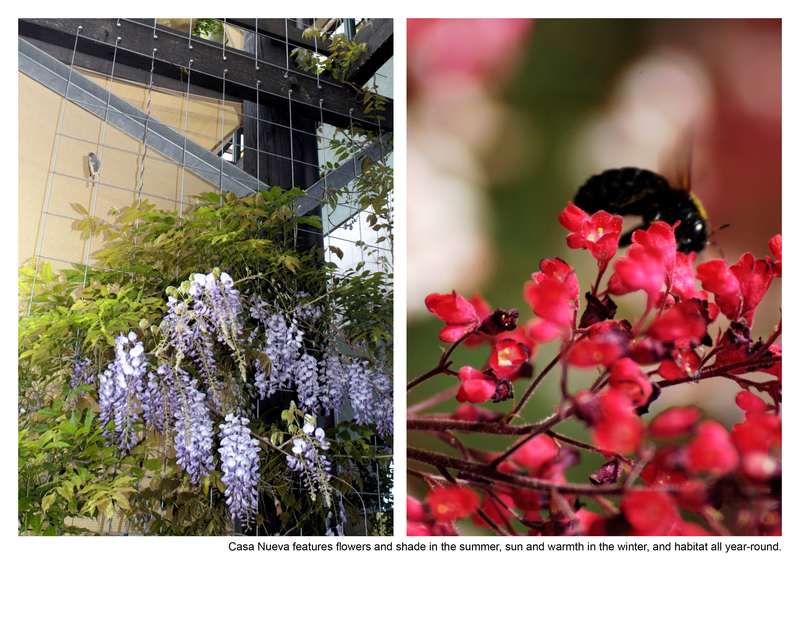 Casa Nueva features flowers and shade in the summer, sun and warmth in the winter, and habitat all year-round. Burgundy and blue-gray planting accent bench and textured pavers at the edge of the courtyard plaza. 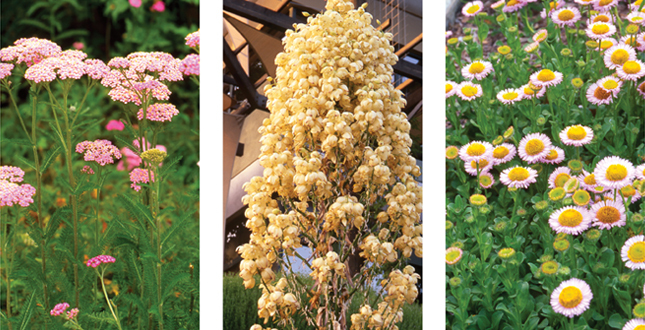 Native perennial gardens surround outdoor work stations. The lower entry sequence begins in the distance and runs under an arbor, passing by the preserved oak, grape trellises and cistern with seat wall. 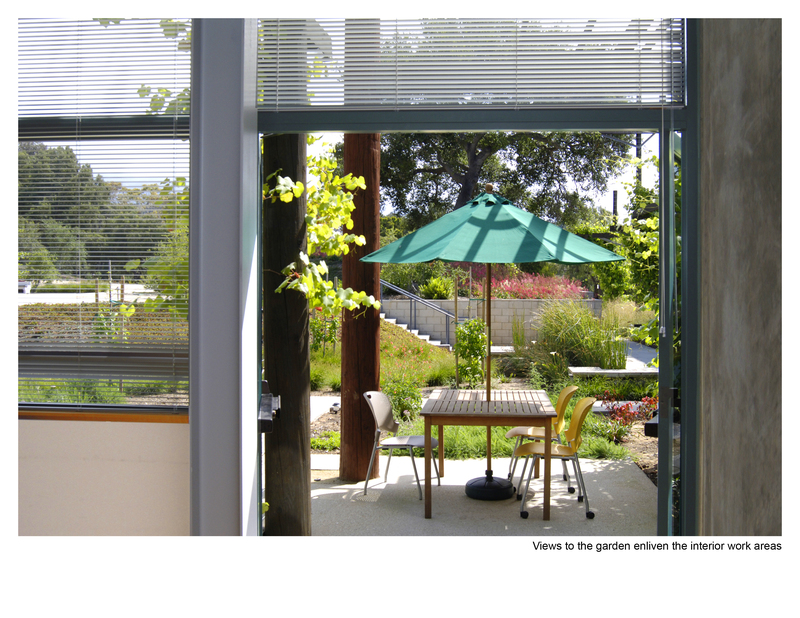 Views to the garden enliven the interior work areas. 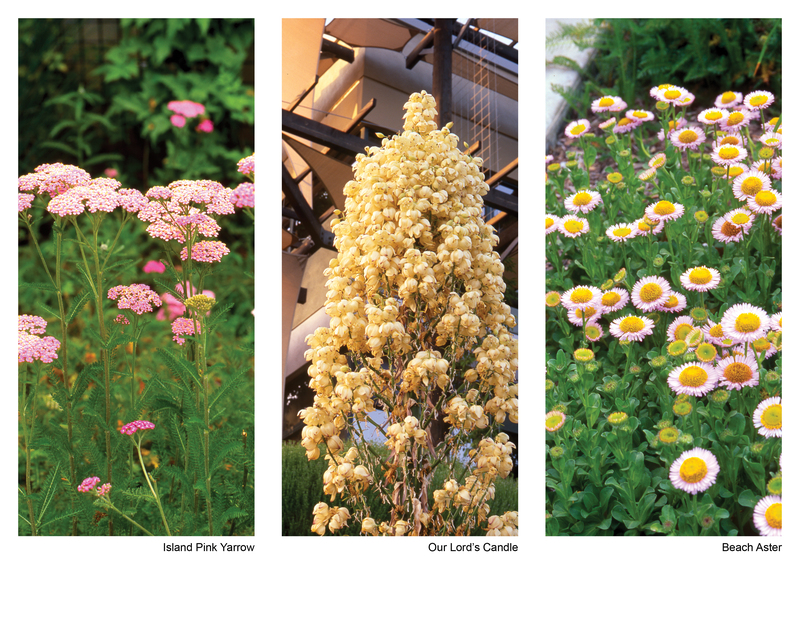 Left: Island Pink Yarrow, middle: Our Lord's Candle. Right: Beach Aster. The site planning and landscape design for this new Government office building exemplifies innovative design on a very limited budget. 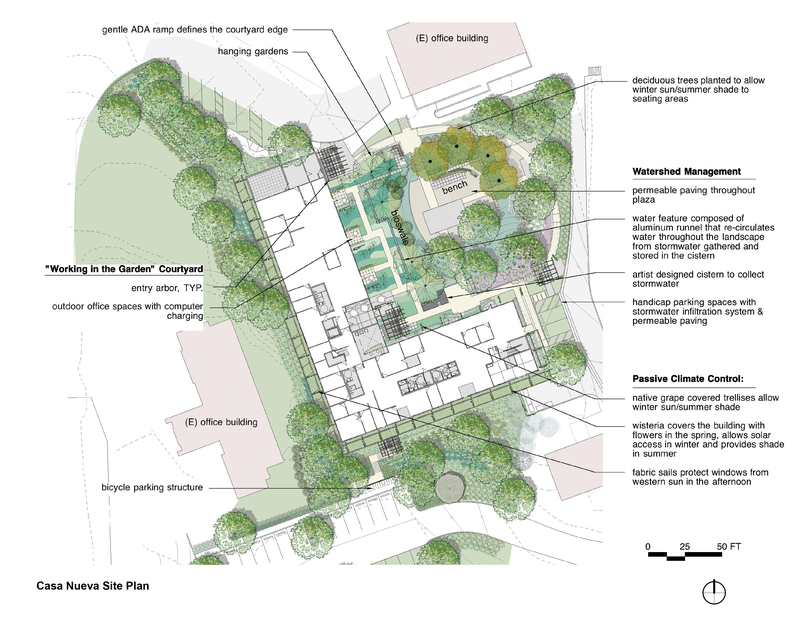 Ambitious project environmental goals were met with site design, as well as the ecosystem services provided by the landscape. 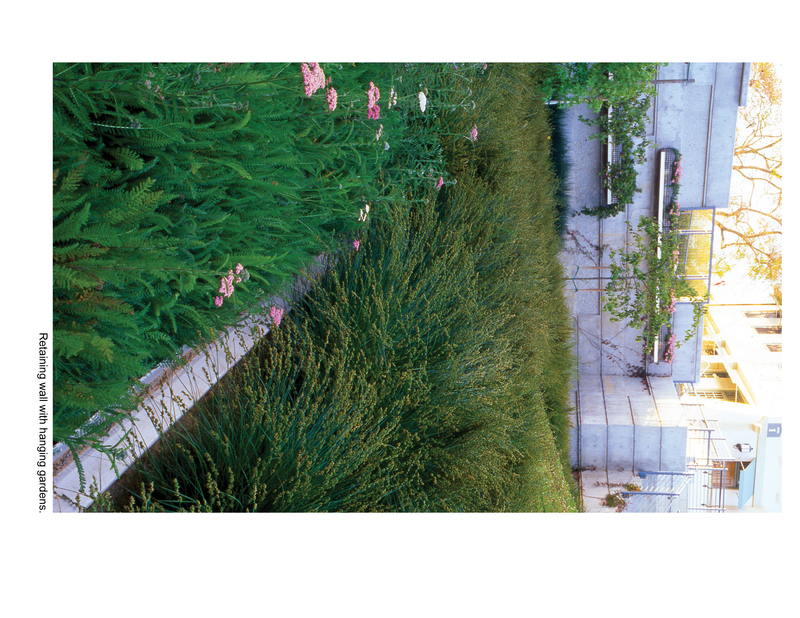 Taking best advantage of the regenerative nature of landscape, while not adding to upfront costs, and certainly reducing long term costs, the landscape filters stormwater, provides climate control to the building, and conserves water with cisterns and a regionally native landscape. 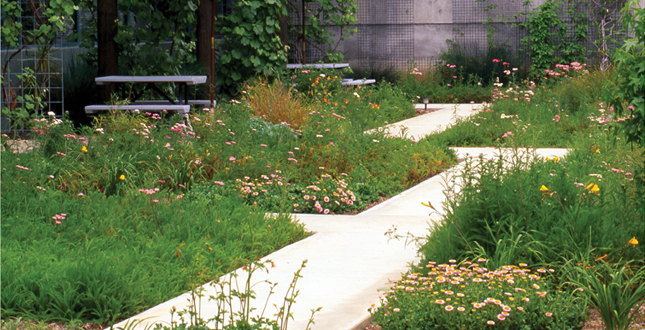 Often buildings are placed where the garden should be. The success of this project stems from the opposite approach. 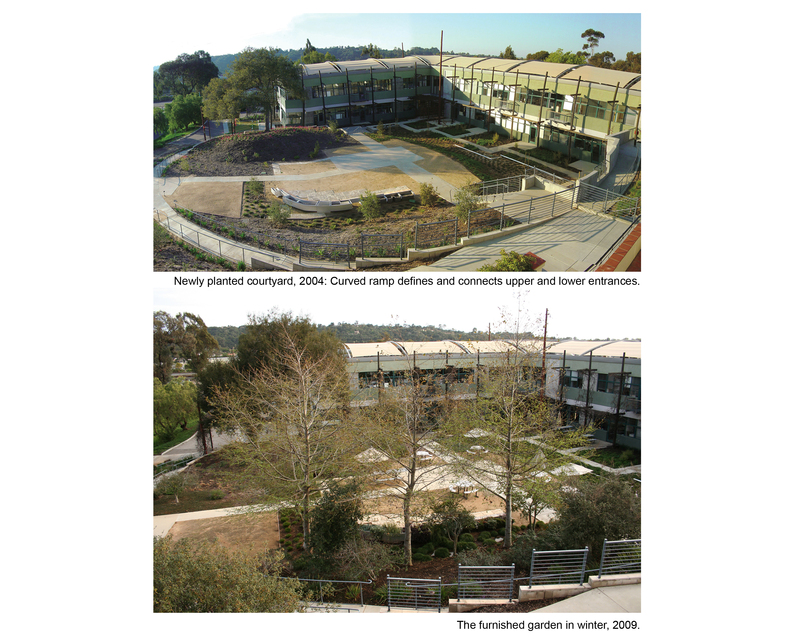 Instead, a generous courtyard garden protected from freeway noise, wind and other discomforts replaces an abandoned asbestos-contaminated building, while featuring views to the surrounding foothills. The long, narrow building, placed at the edges of the site, maximizes interior access to natural light and ventilation while creating space for patios and planted terraces for working, meeting, and recreation for the entire government campus. 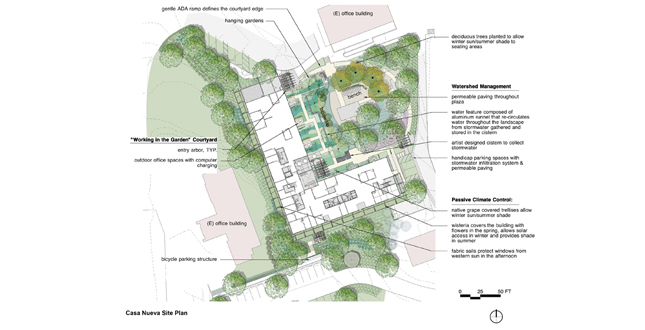 The experience of the building begins in a garden, with entrance through the verdant courtyard, defined on the south and west by the building, and on the north and east with generous stairs and an arcing access ramp. Art, landscape, and architecture overlap (and share budgets) to achieve as much as possible for the people who work here. 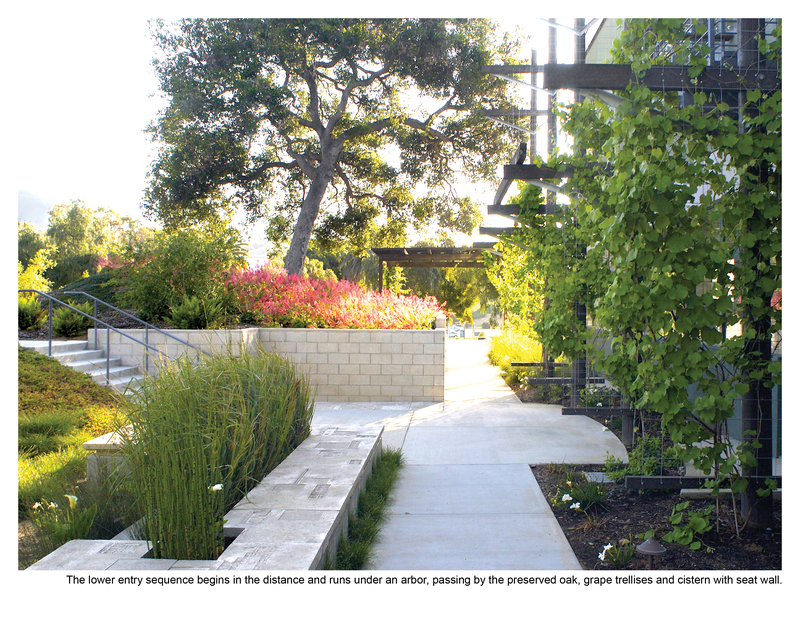 Outdoor workstations (with power and data), occupiable artwork, and native landscape interact in a peaceful garden for work, collaboration and recreation. A dramatic preserved Oak defines the courtyard with other regionally native plant materials adapted to local rainfall, creating habitat for birds and other small animals, as well as people. 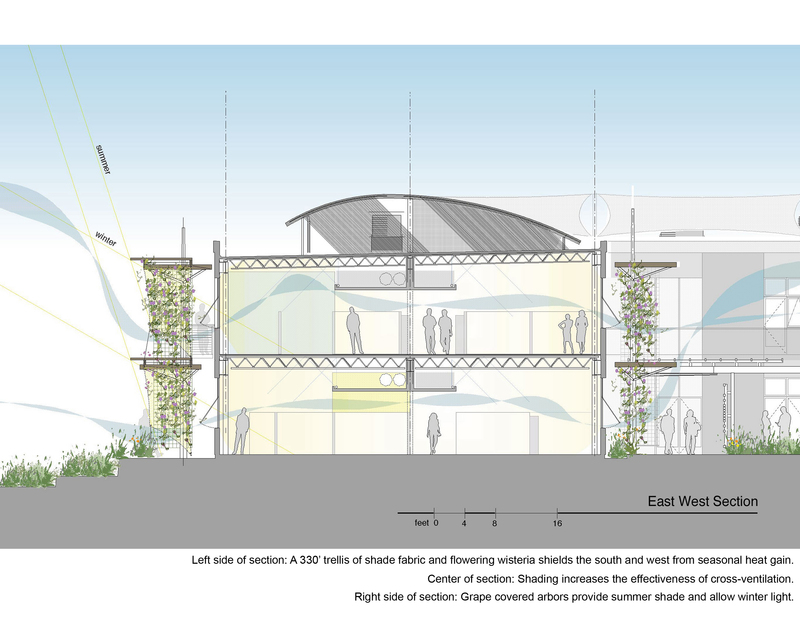 Technical day-lighting studies, performed collaboratively with Southern California Edison, tested design options for passive climate modification. 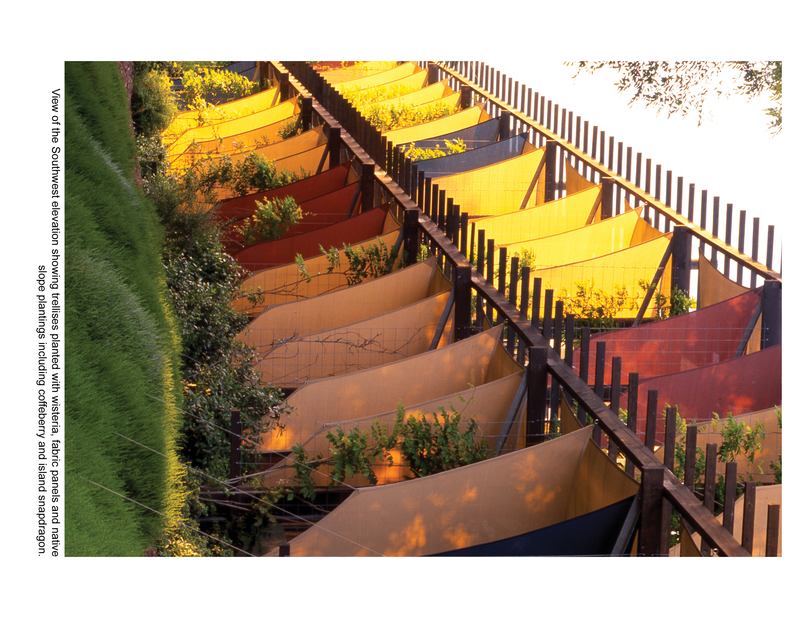 This work informed the design of the dramatic 330' long trellis of shade fabric and flowering wisteria that defines a green identity for Casa Nueva as seen from the adjacent major highway. The planted trellis and fabric shield the south and west from seasonal heat gain to improve employee comfort and energy performance. 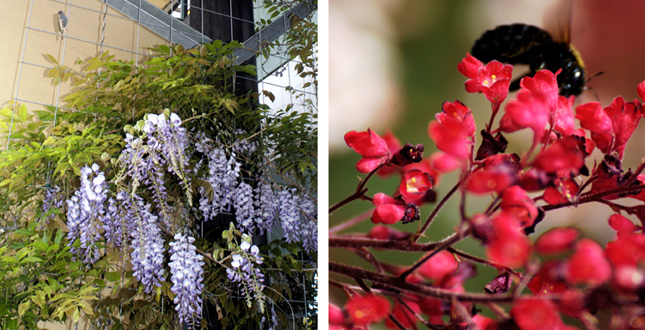 In early spring, this ‘green’ building turns lavender with Wisteria blossoms. 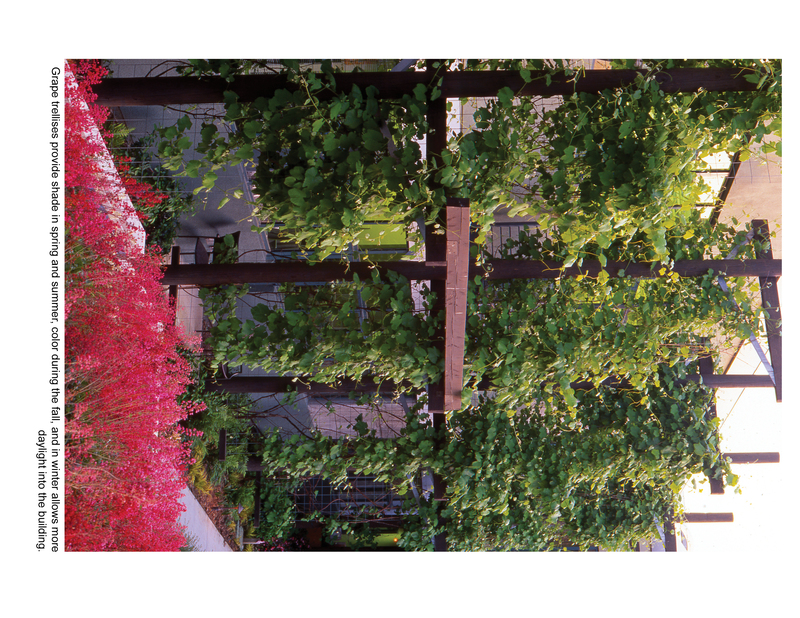 In autumn, the vertical trellises lining the courtyard facade, planted with native grape vines, cover the building with startlingly red fall foliage. When the building is described to visitors they have been known to ask, "Do you mean the one along the highway that looks like a treehouse?" 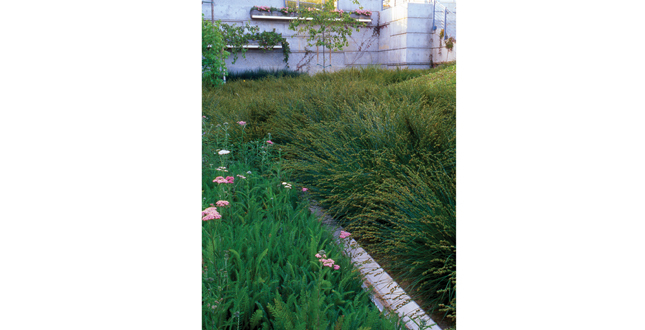 A bio-swale, lush with native grasses, runs through the courtyard, treating and filtering storm-water runoff before feeding into an artist created cistern. 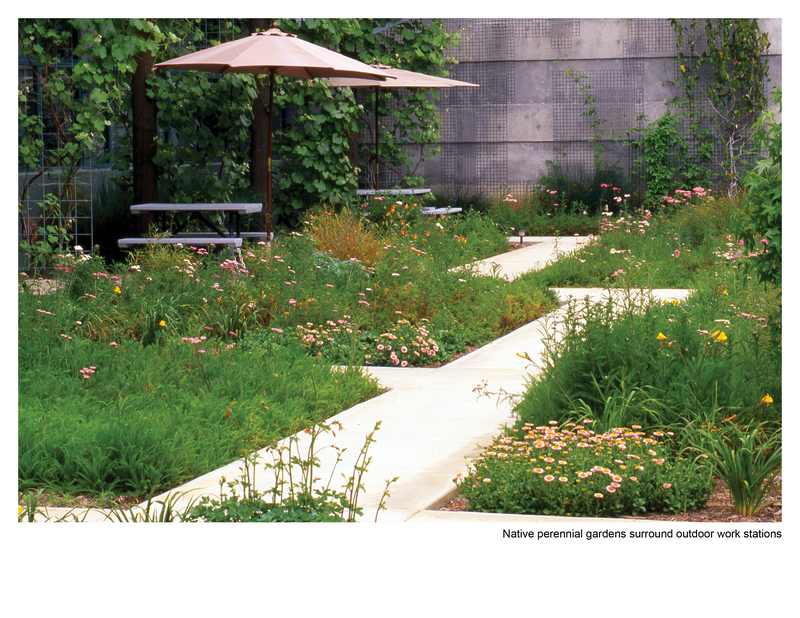 A detention basin stores storm water under the parking lot, and permeable paving reduces peak storm water flow. Simple, affordable, and easy to use materials were used that are durable and non-toxic as well. Whenever possible, materials were left unfinished or exposed. Simple materials include shade fabric panels constructed from #2 recyclable plastic with supporting trellises made of telephone poles, and unfinished locally made concrete block retaining walls with fly ash content. Non-toxic solutions include ACQ-treatment for all wood in contact with the ground replacing conventional pressure treatment to eliminate potential chrome and arsenic groundwater contamination. Paint products meet Green Seal standards for low and no VOC paints. The regional Art in Public Places Committee supported the selection of an artist to be included on the design team. 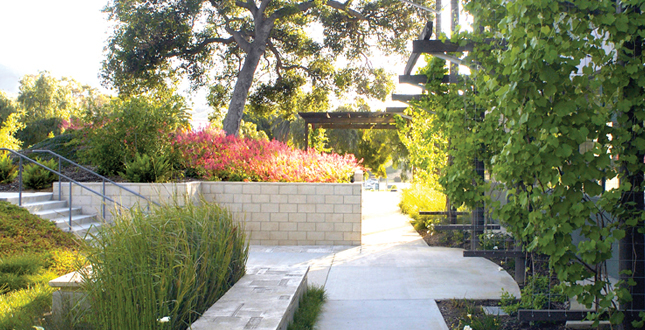 As frequent past collaborators, the artist, architect and landscape architect made the most the art component, investing all of the art into the landscape to provide unique texture and form to standard site elements such as seat walls, retaining walls and special areas of paving. 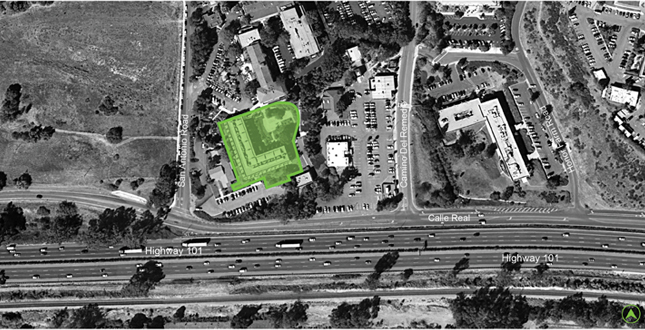 The building’s location along public transportation lines, including local and regional Express buses, provides convenient commuting options. 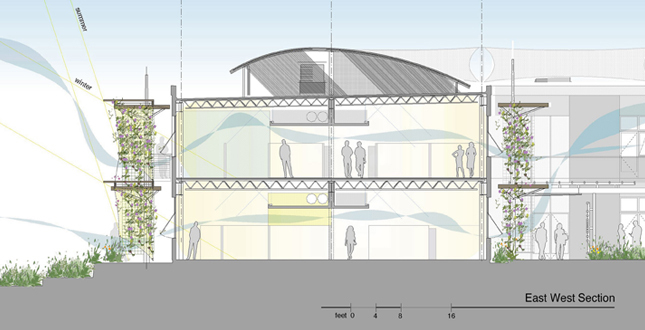 A garden structure to house and protect bicycles augments the showers provided in the building for bicycle commuters. Two electric vehicle-charging stations are provided for Air Pollution Control fleet vehicles. 'Healing Grounds', an adjacent rehabilitation center in the business of propagating organic herbs and compost tea for sale, adopted a portion of the landscape to demonstrate the effectiveness of their organic methods over typical contract maintenance services. The plants in their adopted portion became conspicuously more vital than elsewhere. This 'infill' model office building on an existing campus of 1800 employees creates the first and only outdoor gathering spaces within walking distance. 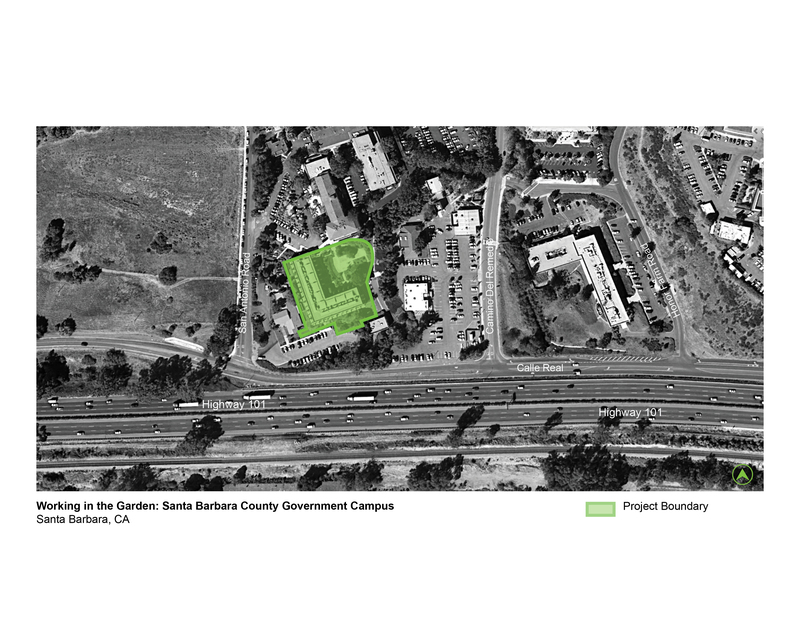 The project features environmentally sensitive design, realized within a conventional budget, as a model for all future County of Santa Barbara design and construction projects. 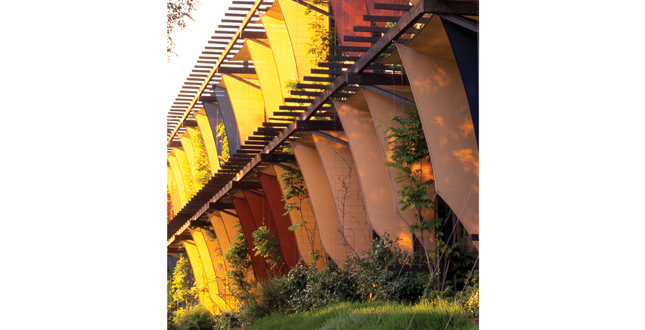 Casa Nueva reflects the values and goals of the agencies that occupy the building, the Air Pollution Control District, County Association of Governments, and Dept. of Social Services, providing an identity of environmental stewardship and social reconnection. At Casa Nueva, art, architecture and landscape elements merge the workplace with the natural world to re-sensitize the occupants to our environment. Here, resource conservation is not about sacrifice; it’s actually about getting more enjoyment every day out of our surroundings. The collaborative design process between the design team, client, and local utility was the subject of an award-winning PBS documentary. Groundcover, Heuchera "Santa Ana Cardinal"